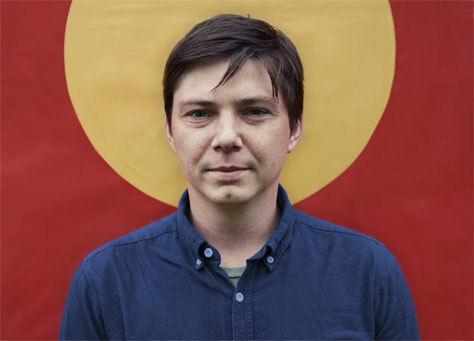 We’re delighted to be welcoming back Sweet Baboo – this time for an intimate solo show at Takk. A native of the North Wales countryside, Sweet Baboo – aka Stephen Black – is a single-minded, idiosyncratic singer possessing an ear for sparkling melody and a gift for a deft lyrical turn – from darkly funny to piercingly tender, twinkling boastful to deliciously self-deprecating. Having already been shortlisted for the Welsh Music Prize in 2011 for his third album I’m A Dancer/Songs About Sleeping, Black’s evolution as a songwriter and musician is still very much in motion with the new album Ships, a concept record about the sea – and a marked step up from his earlier material that reveals his true talent is only beginning to be revealed. Influenced by the likes of The Beach Boys, Daniel Johnston and Gorky’s Zygotic Mynci, Black indulges his love of brass heavy pop on Ships, which was released on Moshi Moshi Records (The Wave Pictures, Teleman, Fanfarlo). Black’s productivity is all the more remarkable given his extra-curricular activities which have seen him working with an ever-growing array of musicians including Cate Le Bon, Slow Club and H. Hawkline. He has also performed with and produced Euros Childs, The Pictish Trail, The Voluntary Butler Scheme and Islet, and collaborated with Gruff Rhys. Support comes from Hawker Reunion, an alt-folk group who write songs through the rain of Manchester. With leanings towards M Ward, Phosphorescent and Will Oldham, the group started as a recording project and over recent months have begun turning themselves to live performance, already supporting acts such as The Wave Pictures, Ethan Johns and Monument Valley. They’ll play here as a duo. Takk is an excellent new Icelandic-inspired coffee house on the edge of the Northern Quarter.